Are Norwegian Forest Cats Good With Children? The Norwegian Forest Cat is an intelligent breed. Though independent, they are not defiant by nature and can be obedient when treated well. 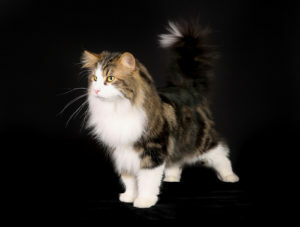 Norwegian Forest Cats are a popular choice for many families because they are patient and gentle with children. They do not feel threatened by loud and playful kids like other breeds are, and they have a natural affectionate nature toward their immediate family. The Wegie is a very friendly cat. She enjoys attention without being needy. She responds to kids calmly, and will patiently endure playtime activities like tea parties and dress-up games. The Norwegian Forest Cat is also usually a friend to other household pets (dogs and cats alike), assuming they are also friendly to her. She is somewhat of a big gentle teddy bear–a fluffy cat but also sturdy. Little ones love cuddling and feeling a Wegie’s soft coat. Some parents worry about constant shedding with such a thick coat, but Norwegian Forest Cats actually shed less than other medium and longhaired breeds. Because she is sturdy, the Wegie is better able to endure rough play meted out by younger kids. She is particularly mellow with kids running around the house and being loud, whereas other breeds are more inclined to run and hide. The Wegie will just quietly observe all the action. 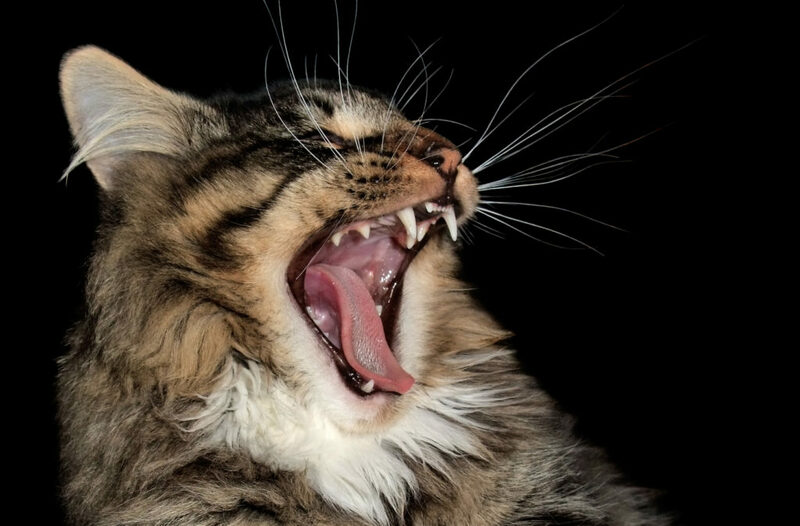 While almost any breed can be trained and groomed to be good with kids, the Norwegian Forest Cat has some additional advantages as a naturally adaptable cat. Many cats and dogs won’t ever feel comfortable in a loud and active setting, which can cause them to behave erratically. This can create a risky environment for kids. The Norwegian Forest Cat is open to change and will adapt to any type of environment, regardless of noise level or activity. Many owners even bring their Wegies along on vacations!